Amena from Pearl Daisy has been a YouTube hit with her hijab tutorials, and her newly re-designed website is also proving to be very popular! 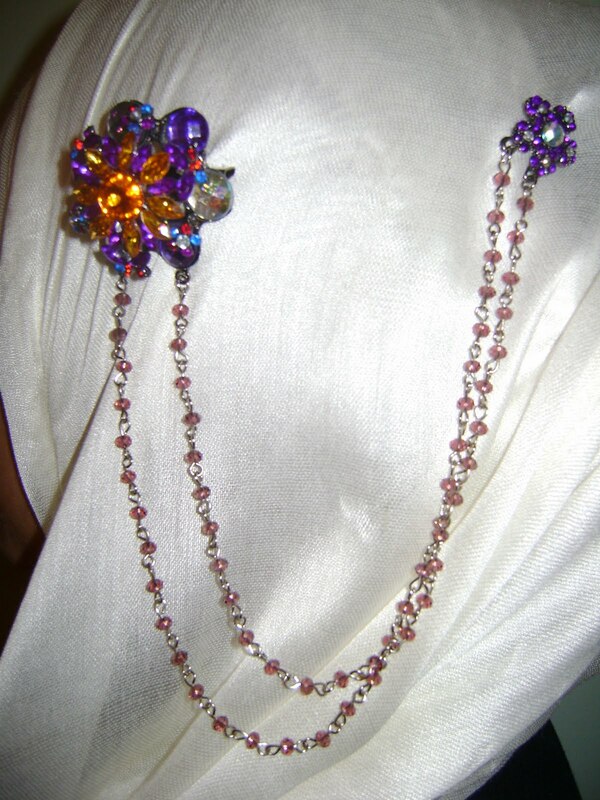 Today's review is for the Purple Flower Hijaabling Chain and Black Flower Chain Hijaabling. The chains arrived bubble-wrapped and in the customary bright pink envelope. According to the website, the design of these Hijaabling chains is exclusive to Pearl Daisy. They consist of a large brooch (about 4cm in diameter), connected to a much smaller brooch by two beaded chains, one longer than the other. The design of both chains is very pretty, and I love the attention to detail in the stone placement. These chains are very easy to use and add something a little different to the usual hijab pins and brooches. They are both however very sparkly so more suited to very dressy occasions. One thing I wasn't keen on with the Purple Flower was that the main brooch itself came in two layers, rather than being a flat piece, and as a result was quite bulky and would hang and tug on the hijab fabric. The pin on the back of the smaller brooch also fell off quite quickly, so improvements could definitely be made to the quality of the fastenings. 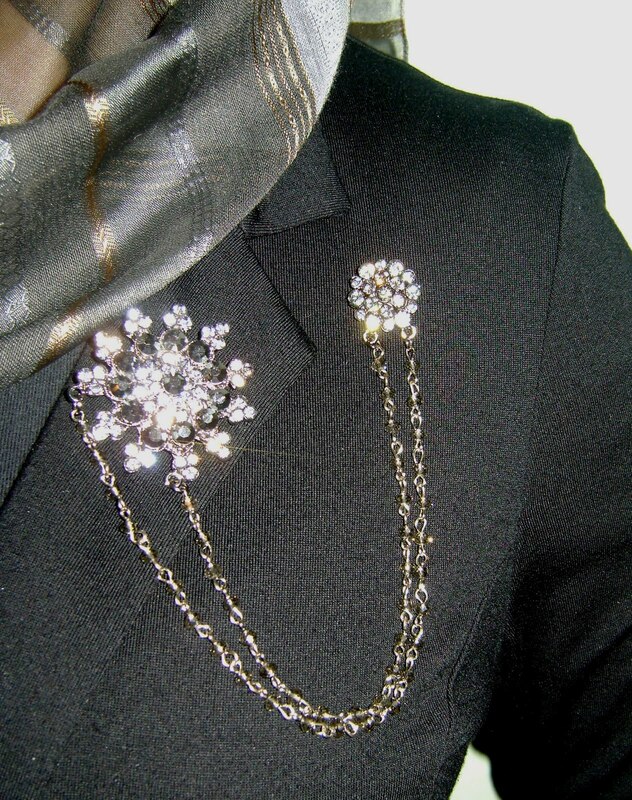 Otherwise I love the versatility and the stylish 'chain' effect of these Hijaablings. Disclaimer: I received these products in exchange for my honest review. The opinions and thoughts expressed are my own and I received no other compensation for my review. These are very cute. I love Amena!